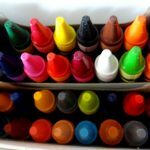 With Baby Girl starting preschool I look forward to all the crayon art coming home. Being the youngest I know she puts in that extra effort to be just like her big brother and sister. I know it wasn’t easy to walk into a new school for the first time but she did so bravely because she saw her older siblings walk into their classes with a big smile. 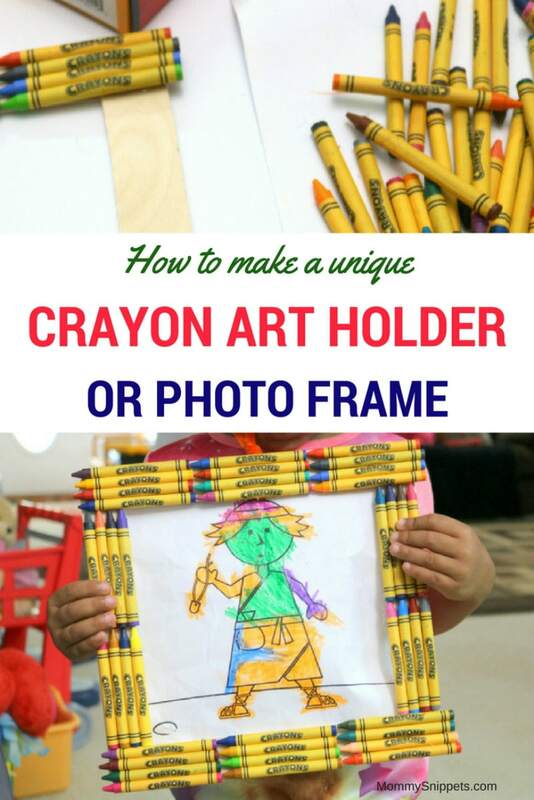 To make her feel extra special I wanted to showcase all her crayon masterpieces she will be bringing home in a unique way and what better way than with a crayon art holder? This feature is sponsored by Westcott. All opinions are my own. 1. 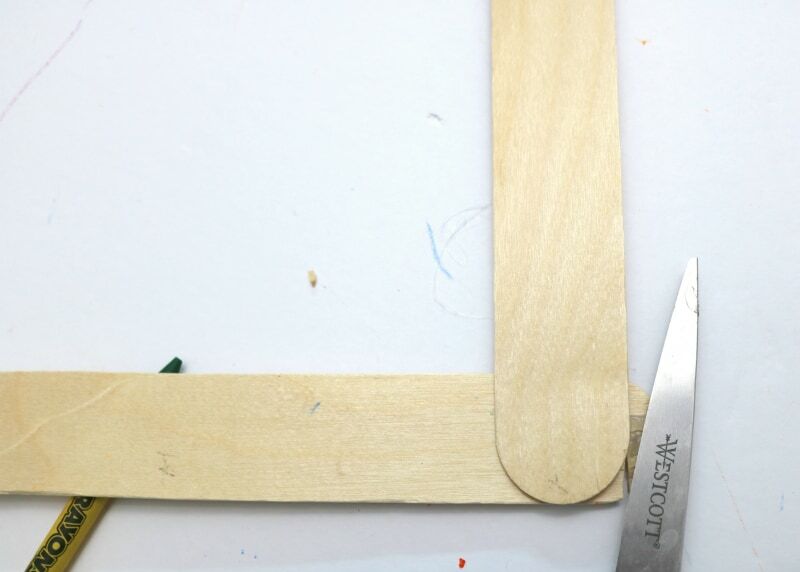 Begin by arranging 4 popsicles sticks to form a square, to create the frame. While we’re talking about the glue gun, I just have to add that I love the non-stick tip and built in stand feature. Makes this so much more convenient and less messy. 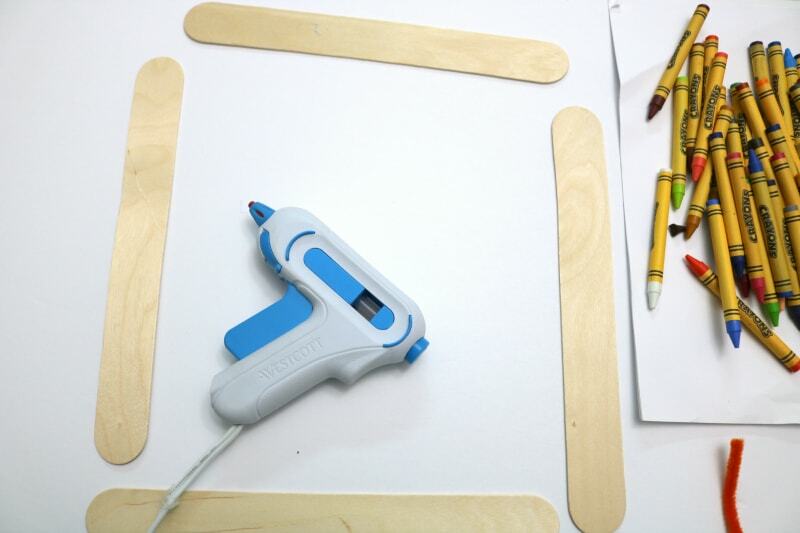 Ooh, if you think this is neat, you really should check out Westcott’s Hot Glue Pen. Gamechanger when it comes to looking for a more compact tool and ease of use for craft projects. 2. 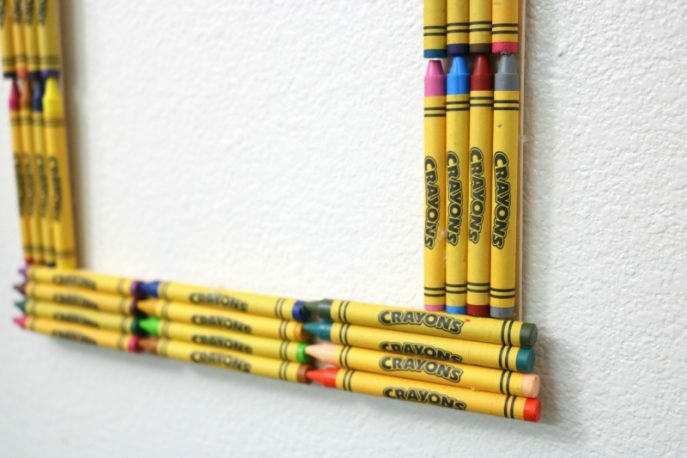 Once the top and the sides of the frame are in place, tie the chenile stem, in the middle of one popsicle stick, and form a loop. 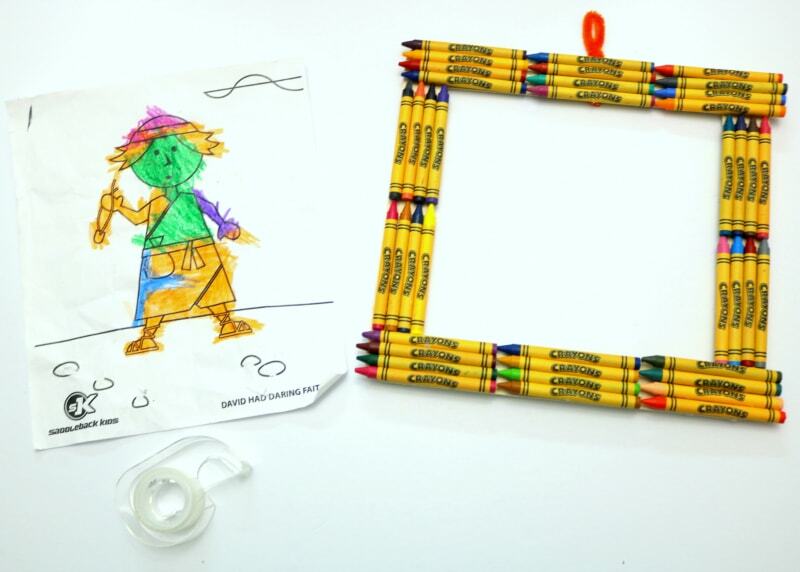 Cut off the extra end and glue the loop to the frame. 4. Complete doing the top of the frame before positioning the sides. 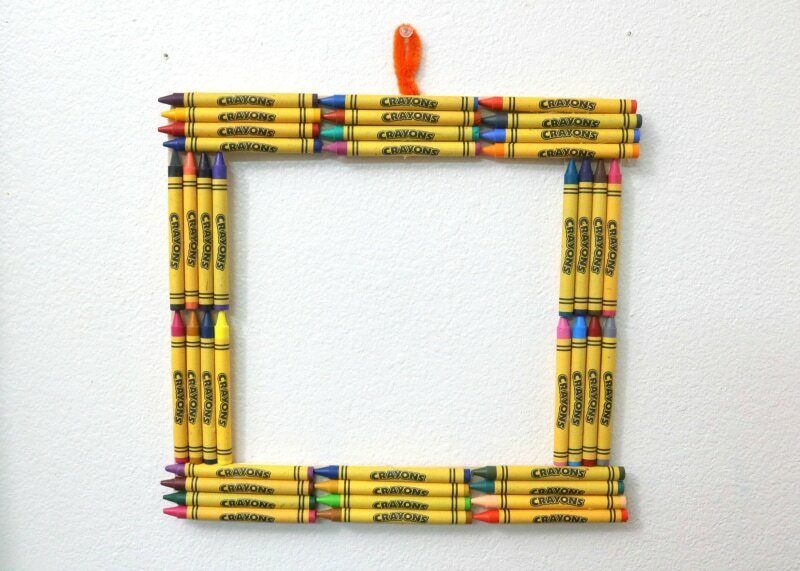 Once you position the crayons on either side, you will have an idea where to position and glue the bottom of the frame. After gluing the same you may have ends sticking out. Don’t worry about it as you can cut this off easily. Now here’s what I love about this. 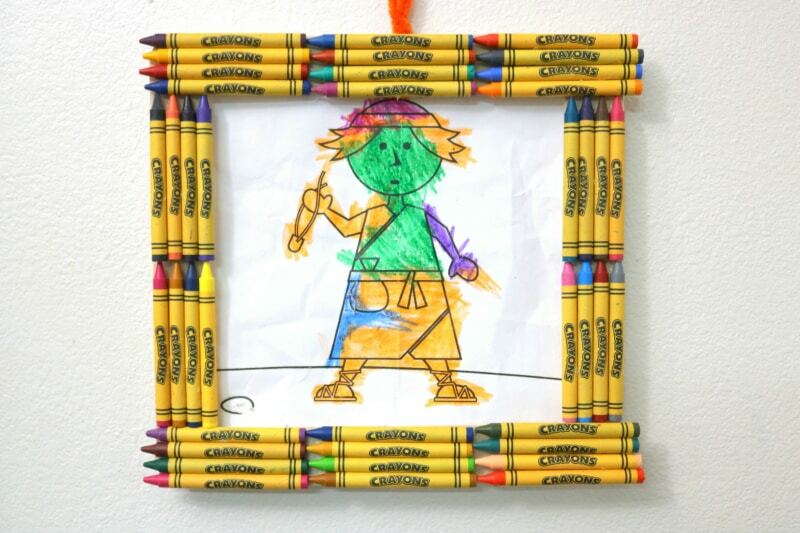 The crayon art framing is the perfect accent to showcase your child’s artwork. 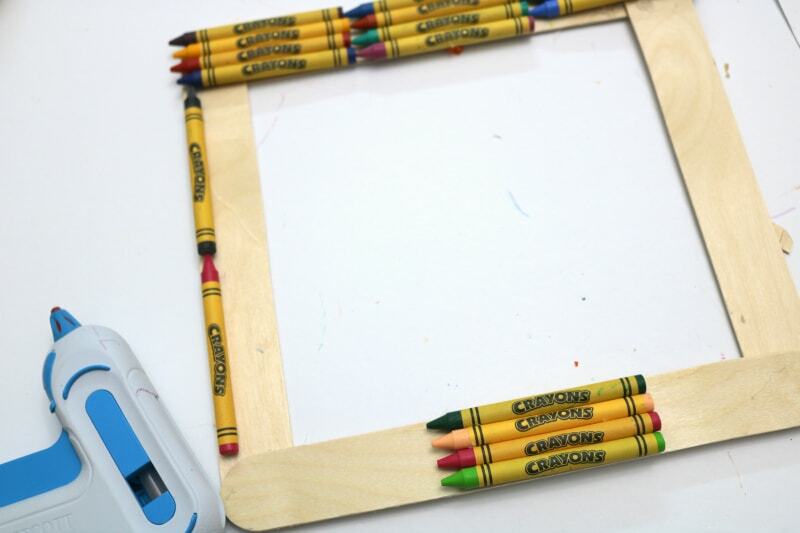 Plus you can swap out the art/masterpiece as often as you want as it only requires taping onto the back of the frame. 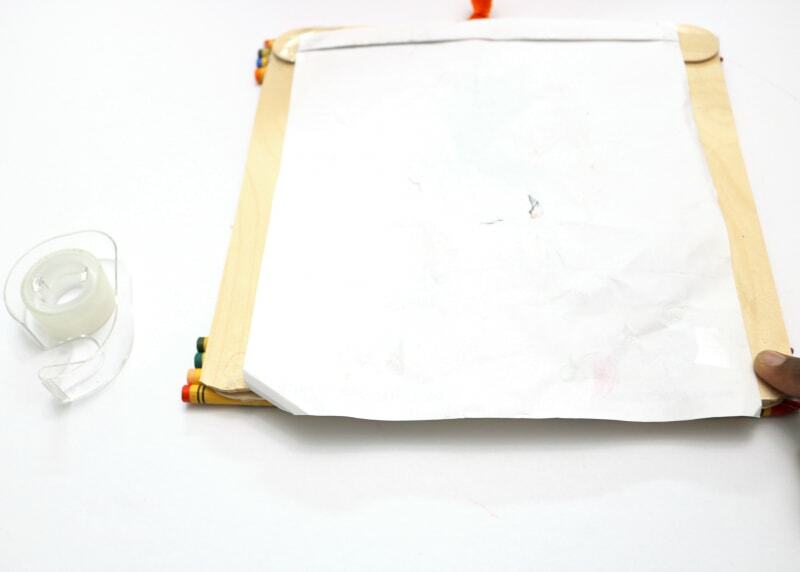 Such an easy project and the finished product is super cute, don’t you think? Baby Girl was thrilled with the outcome and insisted we hung up her Sunday School art in the same. 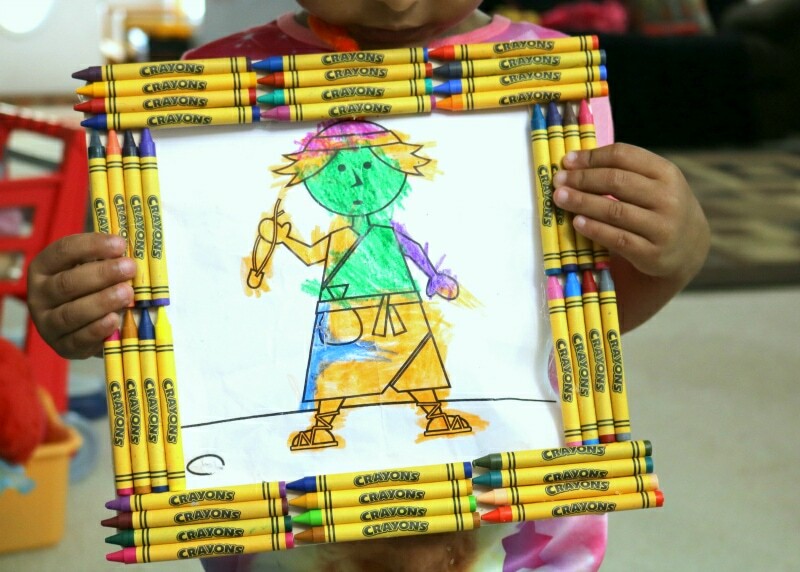 I’m sure we’ll be swapping out pictures even before the end of the day to display more of her artistic creations. 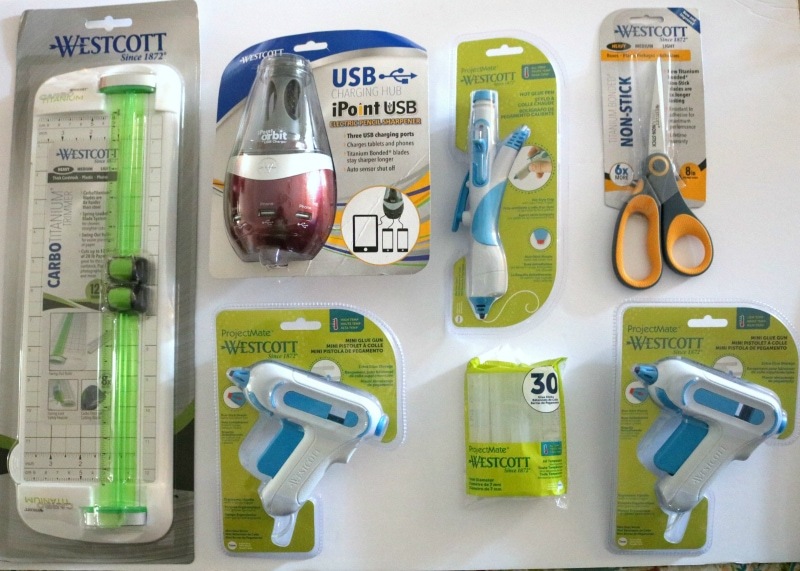 As the new school year swings back into session, Westcott has several tools you won’t want to handle the year without. 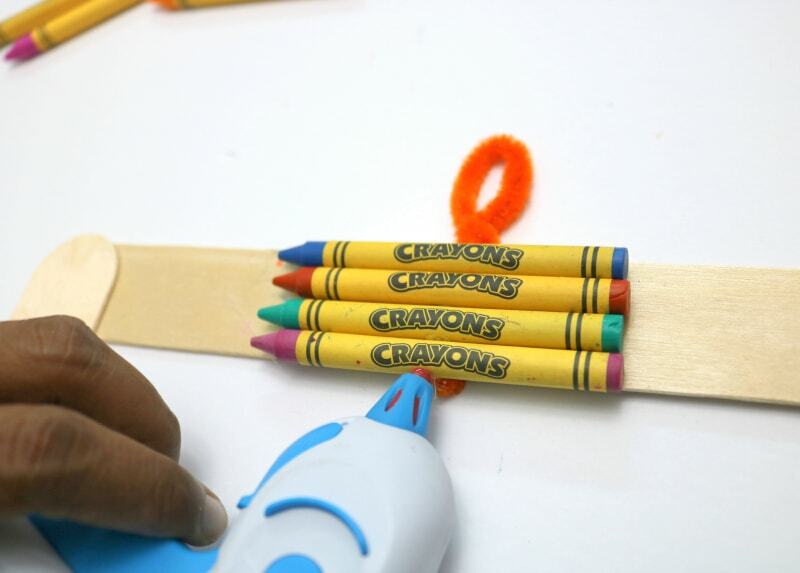 You can shop for that snazzy hot glue pen and other products here. 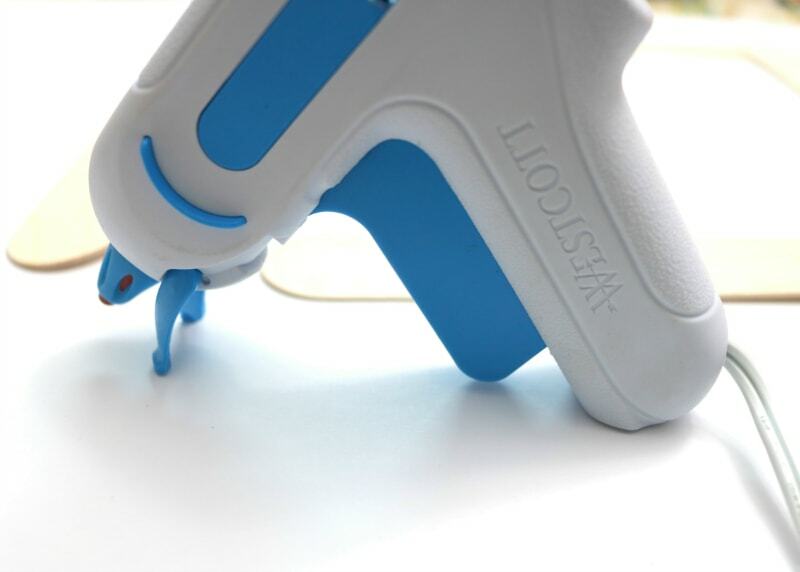 Don’t forget to check out the Westcott Creativators site to explore the beautiful, unique and innovative craft projects featured. I’m sure it will inspire the birth of many more amazing craft projects. 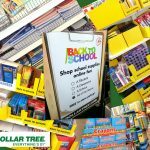 Dollar Tree makes back-to-school shopping affordable. 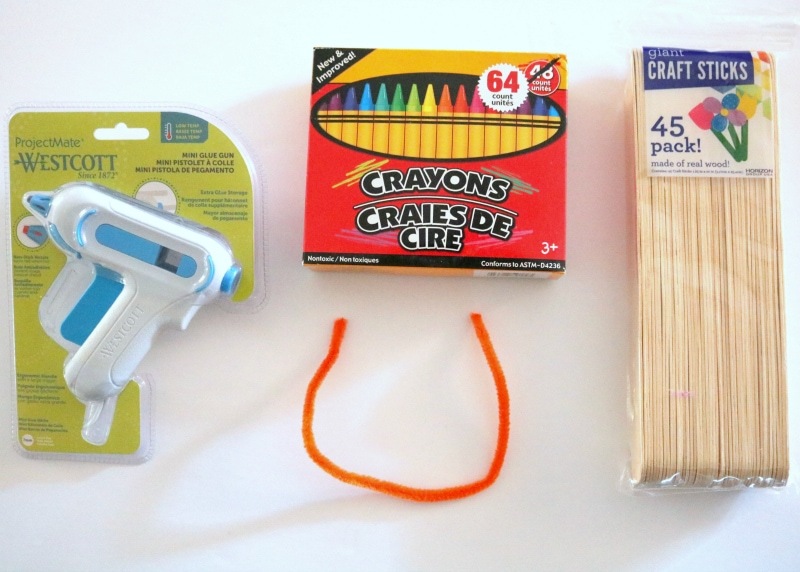 What an easy and fin craft!